Here you will find information about our partners and basic facts about Rwanda. They provide a better understanding for the environment in which Wikwiheba operates. The conflict between the so called Tutsi and Hutu, ethnic identities that were written into passports by the colonial rulers and polarized the Rwandan society, had a massive impact on the country. It lead to the genocide of Tutsis and moderate Hutus in 1994. Despite their presence in the country the United Nations soldiers were prohibited from intervening by the U.N. Security Council. This is one of the reasons why the global community has a particular responsibility in the reconstruction and development of the country. It serves as a constant reminder of the vulnerability of each human life and calls us to work together to protect our most vulnerable fellow human beings. 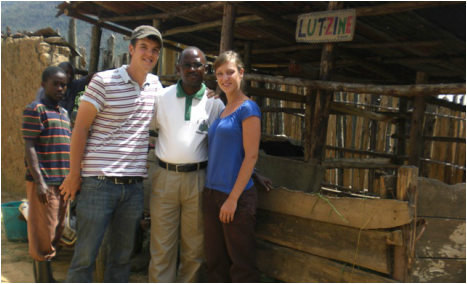 Our main partner is the Presbyterian Church in Rwanda (EPR). It executes central tasks for us, such as the local accounting and a large part of the practical organizing of the work in our projects. The EPR helps us evaluate the need and explore development potentials. Without this cooperation and the world wide reach of the church the Wikwiheba Community as we know it would never have come into existence. Together with the German church-based development organization Bread for the World we built a vocational training program for 30 adolescents in the fields of auto-mechanics and tailoring. Wit the help of Bread for the World we were also able to lay the foundations for a pig farm on the Wikwiheba grounds in Byumba. We are in frequent exchange with other projects and initiatives in Rwanda some of which are linked to the Presbyterian Church and some of which are not. The vocational training program of the Dietrich-Bonhoeffer-Peace-Program is one of the initiatives of which we profit immensely through the exchange of ideas and experiences.